Religious apostasy is becoming more and more glary, and this has made many to give up on religion, because they say, “Religion is not a force for good” rather it is “immorality in disguise.” But the fact is, those ideal are mistaken facts about religion, because True religion really is a false for good and it helps people combat immoral act. So why then does apostasy abound? One thing you should note is, Religion itself is not the problem, the problem is the apostasy of its members. 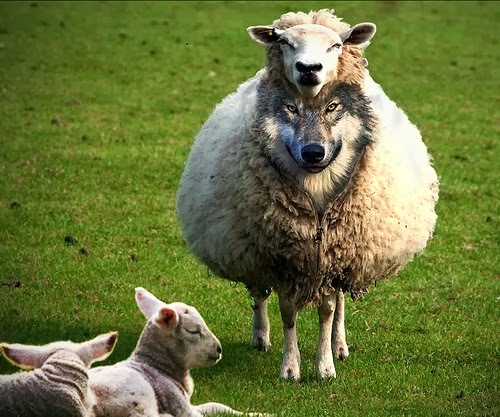 And this increase of apostate member is as a result of a bible prophesy found in Act 20:29, 30 which reads, “For I know this that after my departing shall grievous wolves enter in among you, not sparing the flock. Also of your own selves shall men arise, speaking perverse things, to draw away disciples after them.” –King James Version. Here are three facts that will help you identify apostate religious groups. Their immoral conduct proves that they are apostates. Matthew 7:15 – 23. In other to identify the true religion click >>> HERE <<< to consider five identifying marks of true worship.